Room service is always a good idea, yes? I ordered room service so I could sleep in before heading to second day of class. I recharged with a carrot juice, coconut chia pudding, and a traditional english breakfast before starting my day. I applied Jo Malone London’s Nectarine Blossom & Honey on my body with a spritz of Red Roses Cologne before heading downstairs. 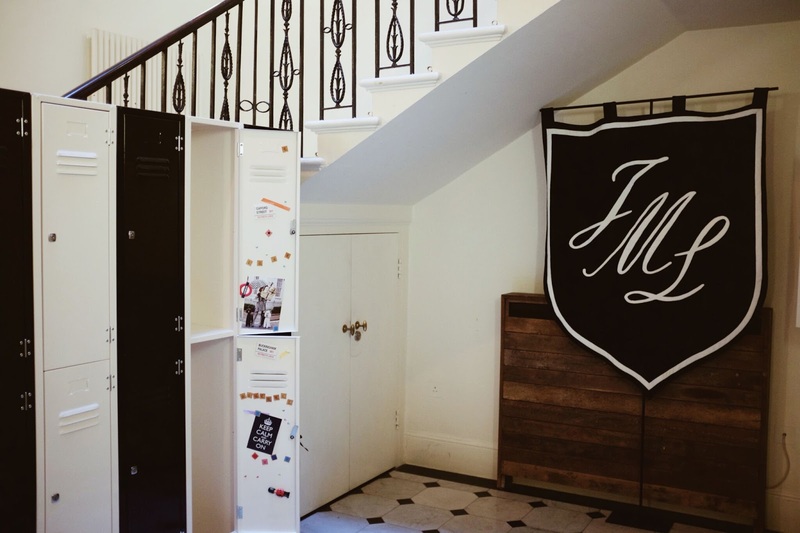 Day two started back at the Jo Malone London Townhouse and I felt like I was back in highschool, so fun! Each locker had a different heartthrob pinned inside. My locker had Harry Styles photo inside - swoon. I wasn’t sure what the second day of school would bring but I was pumped for day two. First class was about learning the art of gifting. I love to give presents just because and this class was probably one of my favorite classes! I learned how to tie a ribbon on a box, which is actually not as easy as it looks. The Jo Malone London team had prepared our new layering combination scents from the day before at the boutique and gifted it to us! 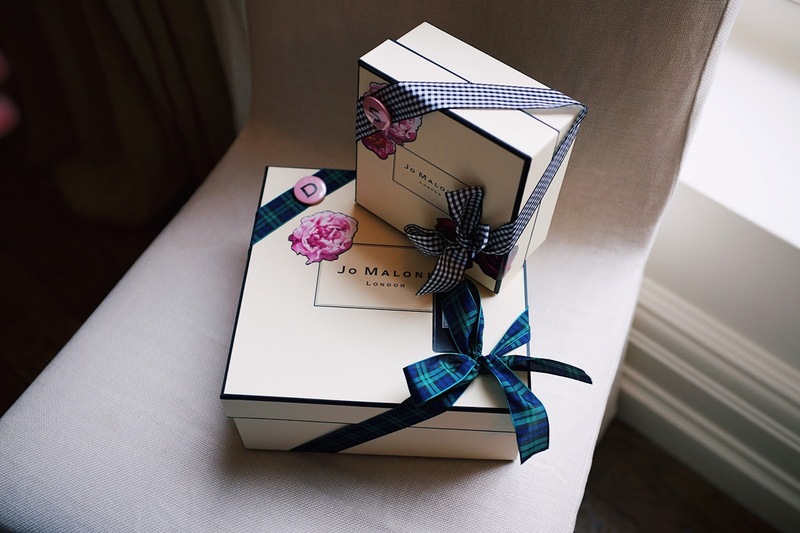 Our job was to learn the art of gifting, each gift box needs just the right amount of tissue paper to hug the product into place. I got into my creative mode and spruced up my gift box with peony stickers and topped it off with plaid and tartan patterned ribbons. Lastly, I placed a pin of my sister’s and my initials on the box, ta-da! I gifted my sister with a candle and soap, a scent that matches her sweet and thoughtful personality. School is back in session! 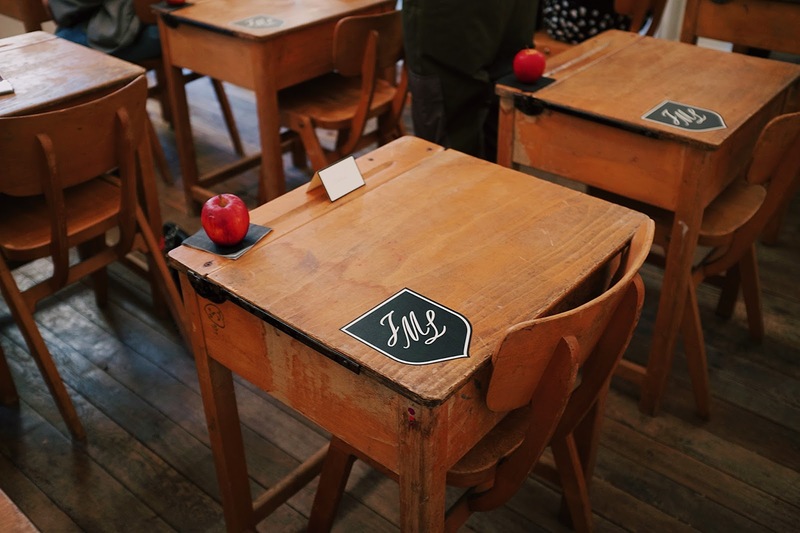 We walked into our second class and inside were desks lined up and I loved each and every detail put into that classroom. I learned to appreciate Jo Malone London even more so after discovering that each candle was handmade. Although Jo Malone London is a household name, each candle goes through 16 pairs of artisans’ hands before finally going on the shelf. They take their candles seriously and it’s a meticulous process that involves measuring and inspecting each candle one by one. No two candles are the same and I was given the opportunity to be part of the process of candle making. I trimmed the candle wick and put the label on the candle, a technique that takes time and patience. Placing the bow on the candle was a bit tricky, but my skills from gifting class came in handy to put the final touches of tying a bow on my box. Embossed on the lids of the candles were our instagram handles which made the candle special and personal, thank you to the JML team for this sweet gesture. Sign me up for any class that involves flowers! 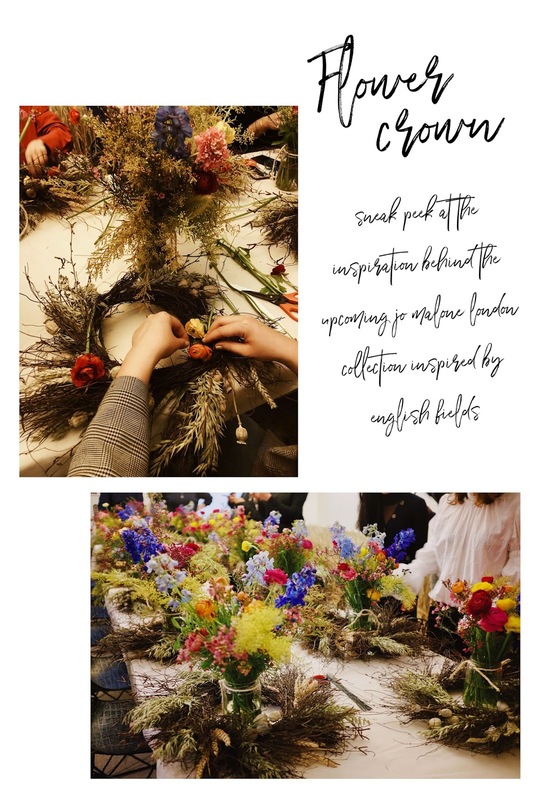 Our final class was creating a flower crown with pretty blooms and we were given a chance to smell the brand’s new English Fields collection. 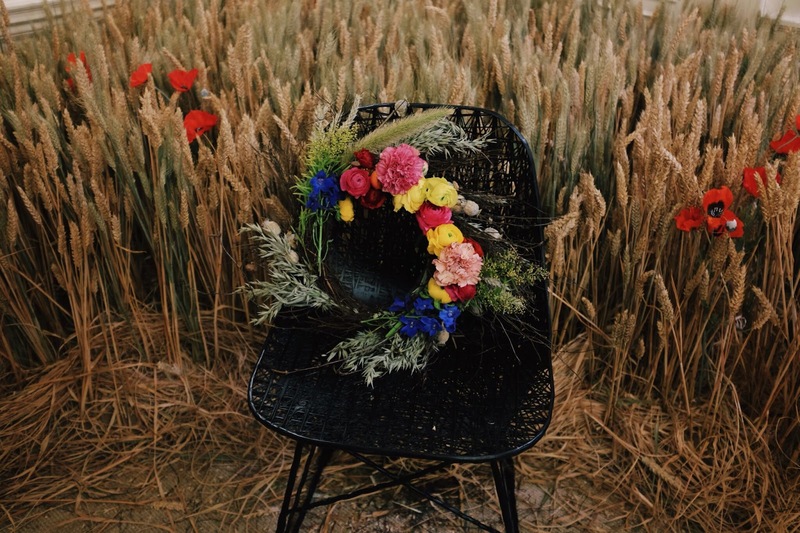 The classroom was surrounded by english fields and poppies, a jaw-dropping scenery. I got a sneak peek into the inspiration behind their new collection that will launch next month, so exciting! Ranunculus are one of my favorite blooms so I decorated my headpiece with colorful ranunculus and pink carnations. It was a one of a kind experience and I love the vision behind each collection. 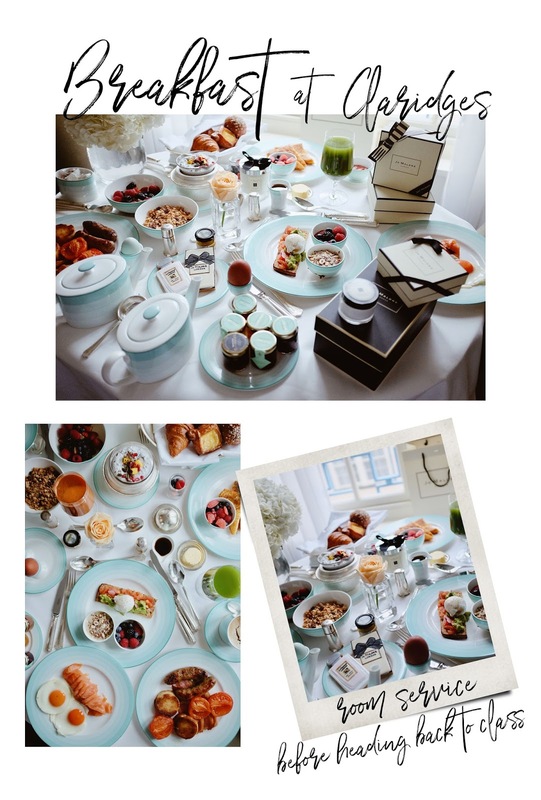 The moodboard was so dreamy and it was incredible to see the collection come to life. Sadly, the end was near and the last stop of British School was graduation day. 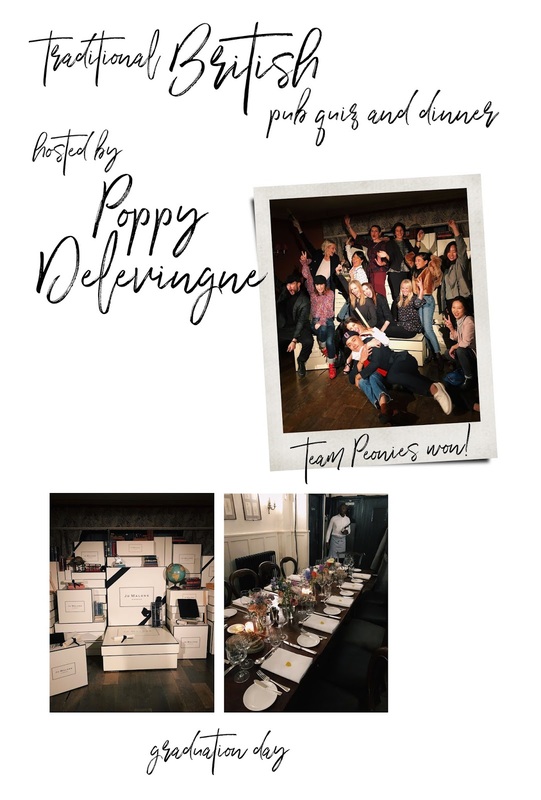 We all arrived at a pub and the evening was hosted by Poppy Delevingne. Major girl crush. She is the it girl and I can see why Jo Malone London picked her as a face of the brand. She’s gorgeous, classy, and someone who I aspire to be. After greeting familiar faces and connecting with the JML team, we were seated for dinner and the pub quiz had begun. Again, the table setting was impressive and the food was heavenly. Our team consisted of influencers from USA, Italy, and France and let’s just say we’re very competitive. It was down to Team Roses and Peonies, but in the end we won! What an incredible finale to a magical couple of days in London with the Jo Malone London team. 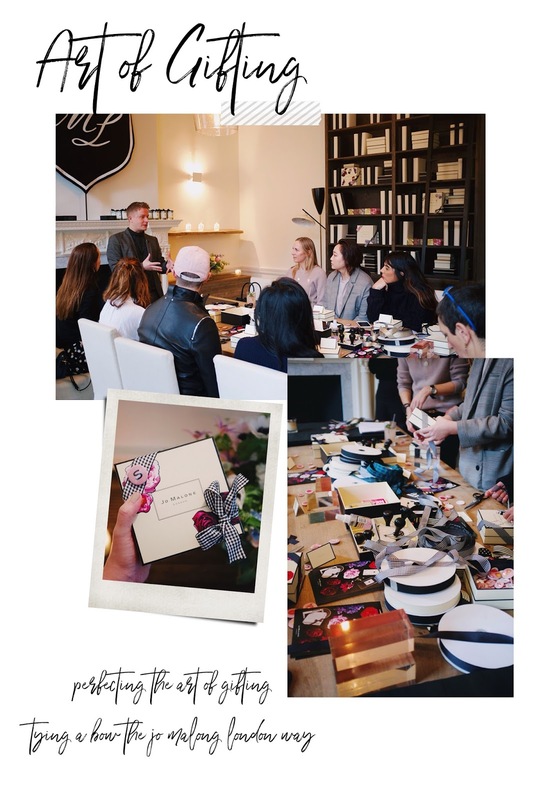 A big thank you to the Jo Malone London team for an unforgettable trip and what a privilege to be part of such a wonderful brand that truly puts in one hundred and ten percent into each product and collection. I really hope you have an amazing time hun!